Home | World | Africa | Is there anyone listening? It's not about Mnangagwa and Chamisa!! I have said it over and over again and I will say it until I die, Zimbabwe situation does not need a political solution. Mass street protests by themselves are not sufficient to effect political change anywhere in the world. The surest way to bring about political change is through the aid of auxiliary institutions - such as military, the judiciary, the media, the electoral commission, and the civil service. 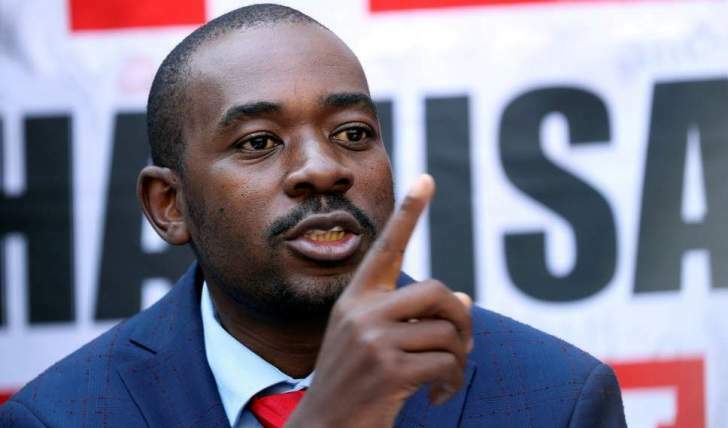 The Zimbabwean churches' effort to forge a dialogue between Mnangagwa and Chamisa is a fair approach but they are missing the point! Zimbabwe does not need a political solution BUT a Sovereignty solution. The solution is: Zimbabwe Sovereign National Conference SNC: Why? SNC participants will include representatives of the ruling ZANU(PF), Opposition parties, trade unionists, civil servants, students, religious leaders, elements of the military, Zimbabweans living abroad, civic leaders, and ordinary Zimbabweans. Members of the diplomatic corps and officials from the international financial institutions: it is an all-inclusive approach. The goal will be to achieve a united and stable economic, social, and political system to the country of Zimbabwe. First and foremost, we must ALL realize and accept the simple fact that we are a divided society with multi-socio classes and making the task of nation—building and forging of a system perceived by the varied groups difficult. We must realize that we are collectively responsible for the situation we find ourselves in and therefore are responsible for mapping our future by addressing our problems once and for all. The system has been confronted with complaints of marginalization, inequitable distribution of resources, power, and injustice. Consequently, various groups, religious groups, opposition parties and other fringe interests have unrelentingly been calling for change. SNC will address the sectional grievances. Inadvertently, SNC has since the late 1980s become an emerging tradition of instituting political reforms and constitutional re-engineering, particularly in the emerging democracies of Africa. Zimbabwe, since the 2003 presidential elections, has been operating under sustained political strains and stresses, thereby necessitating unrelenting agitations for a SNC to address the lingering crises among the varied groups. In the past, President Robert Mugabe has listened to similar efforts by various religious organizations and seemed willing to listen to new ideas that aim to address the lingering national questions; now there is a new boss in town! SNC has its own challenges like legal status and the doubts about the acceptance of its outcomes by opposition parties, varied interest groups, minorities, and government itself but those are challenges worth taking for the nation. Sovereignty has an inalienable, individualized and absolute character with an order that cannot be subjected to any other order or organ resulting from any established power (Ibid). Consequently, a SNC has sovereign powers in its deliberations. It sets its own agenda and has the authority to take any decisions on the issues before it. Government manipulations in the conference's decisions are limited, because the delegates of such conference are not nominated by government but in most cases by the varied interest groups of the civil society. The interest groups may include representatives of ethnic groups, political parties and associations, labor, students, farmers, women and religious groups, and even that of government. The electorate can also elect the delegates. This is the heart of the sovereign national conference (SNC). The SNC and its decisions are superior to the executive and the legislature because of its sovereign status. SNC represents a stage for a greater control of our own future, hope, happiness, and prosperity. It is at variance with unrelenting calls by opposition parties, social and human rights advocates, sectional/ethnic groups for a dialogue to address the national question bordering on systemic contradictions, distortions, marginalization and structural violence. SNC will be a formal assemblage of Zimbabweans for consultation and deliberations on specific issues, which could border on common interests. Such interests could be civil, communal, national, global or professional. Delegates air their views and opinions on the problematics at stake. The outcome of an SNC may herald a new political order, and sweep away all vestiges of the existing system. It can determine the power and survival (tenure) of the incumbent government. SNC will avoid the pitfalls of an ordinary national conference like the Lancaster House that sustained status quo ante Colonial Legacy - where the British imperialists imposed the Zimbabwean state, implying that Zimbabwe, as a political entity, did not exist before colonial invasion. The colonial origin of the Zimbabwe state has placed some dilemmas on the nation. The colonial effect implies the weakness of the institutions of state to withstand and survive incidence of disequilibrium. Tribal contestations over power-sharing and resource control have since independence been inflicting damaging injuries on peaceful co-existence, political stability and national integration. Contestations for political power has the Gukurahundi question lingering. Thirty-eight years after the independence tribal tendencies have not waned. Complaints of institutional marginalization, social injustice, structural imbalance, and power-sharing and resource distribution are still rampant. This leaves us with the fundamental question of the nature of the state we must create in our country. The problem of the nature of the state created is perhaps the secret of our failure. The failure of the state in addressing the varied contradictions often referred to as the national question, has continued to provoke the varied sectional interests and groups to continuously advance calls for a SNC, particularly since disputed 2003 presidential elections. However, the intensity of the pressure for a SNC is more heightened today than ever because of the state of our country. The consensus is imperative for a new Zimbabwe that is more efficient economically, politically and administratively, and which is restructured on sound, distinct and clear National principles.